Accurate and easy to use, the Northwest Instrument NSLP500B Transit Level Package is ideal for leveling, turning all horizontal and vertical angles and plumbing applications. This optical instrument has a working range of up to 200 feet and provides 20x magnification. It also features clamps and tangents that bring the instrument quickly on target and includes a tripod and aluminum rod for fast setup and stable measurements. 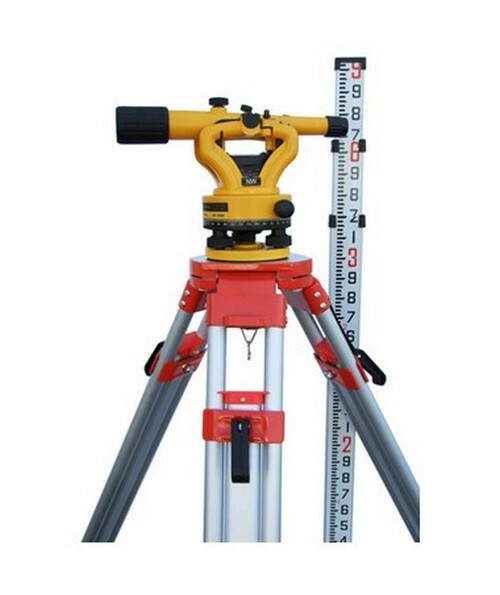 The NSLP500B is capable of measuring vertical angles ±45 degrees and horizontal angles to within 1-degree accuracy. It can also be used as a level by locking the telescope into place. Its level vial has an accuracy of 1/4-inch at 100 feet, making it ideal for elevation measurements and grading applications. For easy level rod readings, this transit level’s telescope has exceptionally clear optics and stadia lines allowing you to determine the distance of the transit from the level rod. The Siteline 500B also offers manual leveling using three leveling screws and leveling vial. With a 5/8 x 11 thread, the NSLP500B base fits both flat head and dome head tripods. 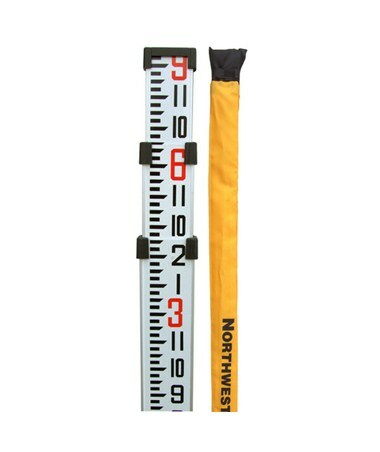 This Northwest Instrument transit level package comes with a tripod, aluminum rod, plumb bob, hard carrying case and 1-year manufacturer’s warranty.